Pickets: 1/2 inch square tubing. 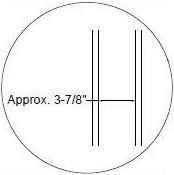 Posts: 2 inch square post with ball cap. Plain Picket deck railing with special center scroll: Add a center scroll for only $38 extra. 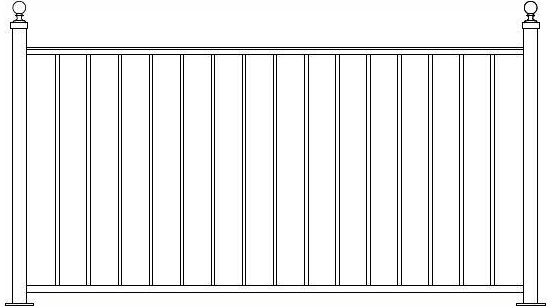 This deck takes the plain picket railings with a scroll picket added to the center of every panel. 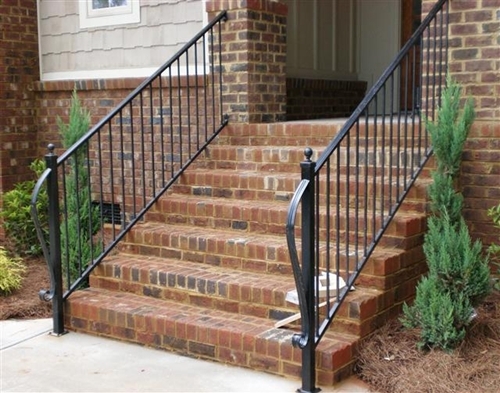 Standard Plain picket iron railings on both sides of a stoop. Plain Picket standard railing including lamb's tongue ending for extra $65 dollars. You can get this balconies at the balcony store.